Kliknij na zdjęcie i przejrzyj wszystkie dostępne zdjęcia do Pousada Capitão. Located 200 metres from Paraty Historic Centre in Paraty, Pousada Capitao Ltda Me features an outdoor swimming pool, free WiFi access and free private parking. Air conditioned rooms include a TV, a minibar and a private bathroom fitted with a shower. Bed linen and towels are offered. 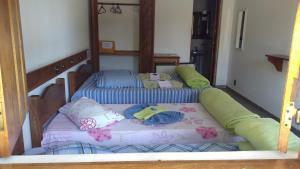 Paraty Bus station is 900 metres from Pousada Capitão, while Paraty Airport is 1.6 km away.